Fed up with those roadworks? 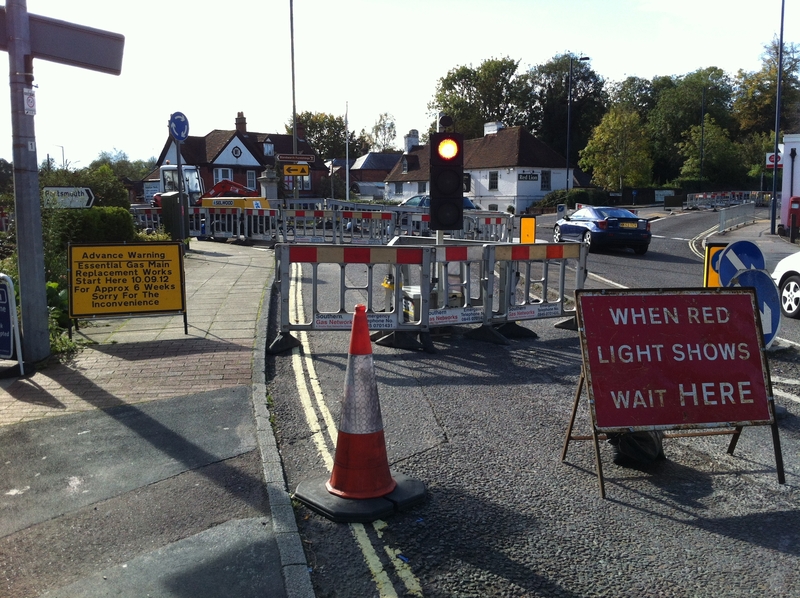 We are currently in the middle of a 6 week period of roadworks in the centre of Horndean. This means that our village centre has single alternate line traffic lights giving each of the 4 intersection roads a chance to crawl forward and get to the other side of the village. We are advised that this is urgent work to replace a collapsed gas main. If this is urgent work, then you might wonder why they can not work on this over the weekend too. This would at least finish the work 12 days earlier and minimise the disruption for everyone. (I can not tell you why as SGN who own the supply pipes can not tell me). If I do get a reply, then I will let you know. We need to prepare for more though as the Gales site will require new Electricity, Gas, Water, BT, Cable TV, Sewer and Storm drainage connections. On both sides of the road. Some of this will inevitably mean digging up the road and more traffic disruption. Permissions to dig up the roads are reviewed by Hampshire County Council, and we need to make sure the County Councillor and developer work together to minimise disruption and where possible carry out multiple connections at the same time.